The Certificate in Office Administration will equip an individual with the skills necessary to effectively run a business office. 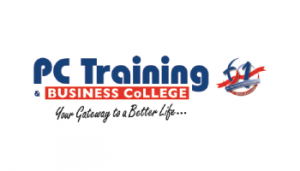 Training will consist of a combination of technical, administrative, communication,accounting and marketing skills. Availability: Durban, Johannesburg, Pretoria, Cape Town, Bloemfontein, Randburg, Kempton Park, Pietermaritzburg. Admission requirements: Grade 12 or Equivalent or NQF Level 4 Qualification National Certificates. Adequate language and numeracy skills are necessary. Have the infonrnation-gathering, analysis and presentation skills required at exit level 4 on the NQF. Only subjects examined by fonrnal academic institutions and recognised professional bodies are considered, with an objective to ensure that the examinations and syllabuses are comparable both in standard and content ,especially where an M+ 3 rating from the Human Sciences Research Council applies as stipulated below.